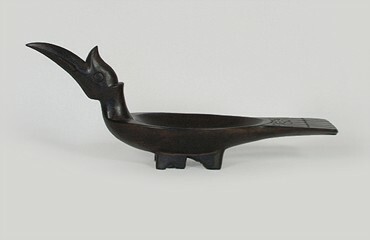 Carved from old ironwood in the remote village of Sarawak, Borneo; every piece is different in shape and color, every piece is an art of it own beauty and character. Limited units. 6" width x 22" length / approx.